What is Faith at Home? Faith at Home is designed for everyone at Crossroads, single or married. Parents with kids at home, empty nesters and grandparents. We all have a place of influence within our home, our extended family, our community, our work and in our outreach. Faith at Home addresses building faith in each of our various life stages and recognizes the significance of these relationships. Explore and engage with one of our friendly Hosts to get the most out of your experience here. And come often. New materials will be added and updated throughout the year. The Faith at Home resource center will be located on the first floor of the Berea Building. It provides recommended resources that will help you become more intentional about living out your faith at home. There are plenty of free resources in the center so make sure you visit the center often. 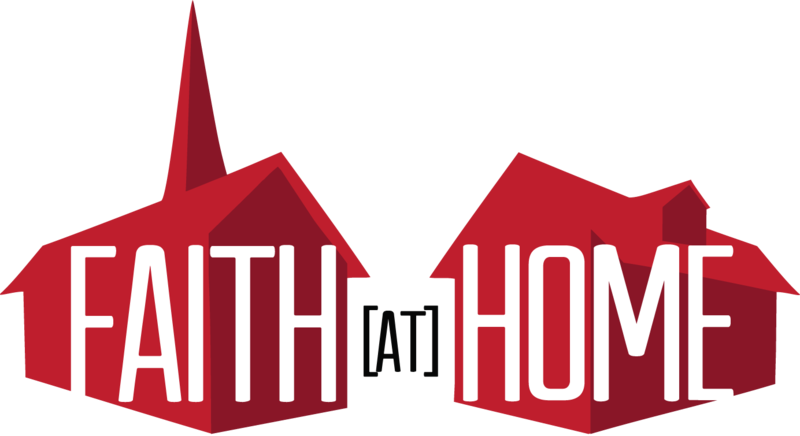 What Does the Faith at Home Resource Center Offer? Pointers are life stage and special circumstances based brochures. Each pointer offers a biblical perspective on your particular season of life. Pointers also offer suggested At Home resources such as books, websites, articles and DVD series. Books located in the Faith at Home center are additional resources to help you develop and implement faith at home. We will have a small selection available for checkout. We will add more ad the demand increases. Idea Cards describe creative and practical ideas to help implement faith at home. We will consistently make new Idea Cards available with fresh ideas to develop your faith away from church and in your home. Parents, how do you start your day? Plugged-In – A Focus on the Family publication designed to help equip parents, youth leaders, ministers and teens with the essential tools that will enable them to understand, navigate and impact the culture in which they live. Includes reviews on current movies, music, and tv shows. * Very Strongly Recommended. ParentLife Online – In addition the magazine, ParentLife has an active online presence. The ParentLife blog includes giveaways, fun photos, product reviews, and additional information on topics covered in the magazine. ParentLife Twitter feed and Facebook page also provide ways for parents and kids ministry leaders to connect. Orange Parents – Orange Parents seeks to connect families to a wider community of parents and leaders. Orange parents understand that by tapping into a wider community, they have the potential to make a greater impact in the lives of their children. HomeFront is a FREE monthly resource that gives parents ideas on how to create fun, spiritually forming times in their home – even in the midst of their busy lives. This digital magazine can be sent right to your inbox each month, making it easy for parents & grandparents to shape a vibrant faith in the lives of their children. Most of us have figured out by now that to be effective at ministering to teenagers, we have to think about how to also reach out to their parents. Some of us are parents of teenagers ourselves and want to be informed. Regardless of where you fit, here are some sites that focus on parents and parent ministry: keeping them informed on teen culture, equipping them for spiritual influence, and helping to make them an ally of student ministry. The Faith and Family Life of Matt Chandler – Pastor and author Matt Chandler opens up about doing ministry with family, his upbringing in Texas and his desire to stay focused on the gospel. Focus on the Family has some incredible marriage resources. We wil be slowly adding more resources, but this site includes advice and articles ranging from dating to how to regain your footing in a rocky marriage.